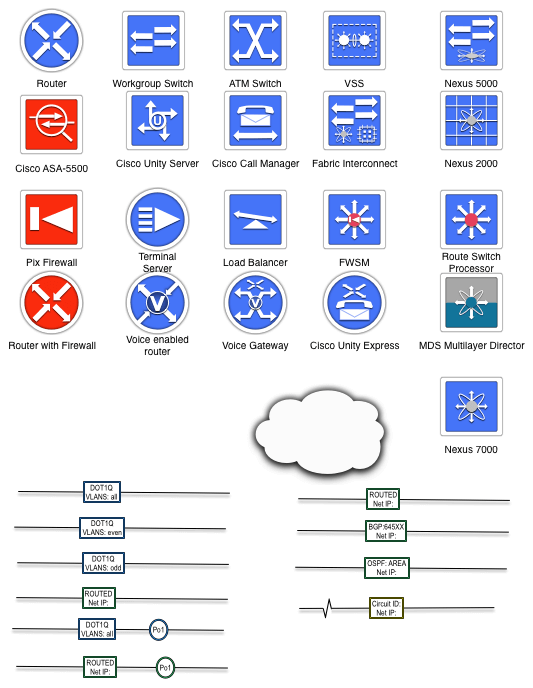 Here's a set of network stencils that takes the basic symbology created by Cisco in their icon sets and applies them to a standardized shape and color scheme. Round objects are devices that are homed in a router and everything else is square. Red objects are security devices.